This is a photo thread for every keyboard out there resurrected with xwhatsit's excellent capsense USB controller. Let's see just how many of these beasts are now happily communicating with modern computers, thanks to xwhatsit. @mr_a500: do you have more pics of that beamspring? I like that bare metal look. snoopy wrote: ↑ @mr_a500: do you have more pics of that beamspring? I like that bare metal look. mr_a500: would you mind taking a picture from the side, and as low as possible? I’d like to get the best idea I can of the keycap profile on that beam spring board. BTT: the two beam spring keyboards that I use with xwhatsit's converter. Well, I have only one rev3 converter right now that I use with both, but a new one is on its way. That kish is clean! Very tasteful mod. I really like the bare metal look. Do you find it comfortable to type without the plastic cover? Nice collection! That A02 is so cool.. that’s the keyboard that sparked my interest in beam springs. 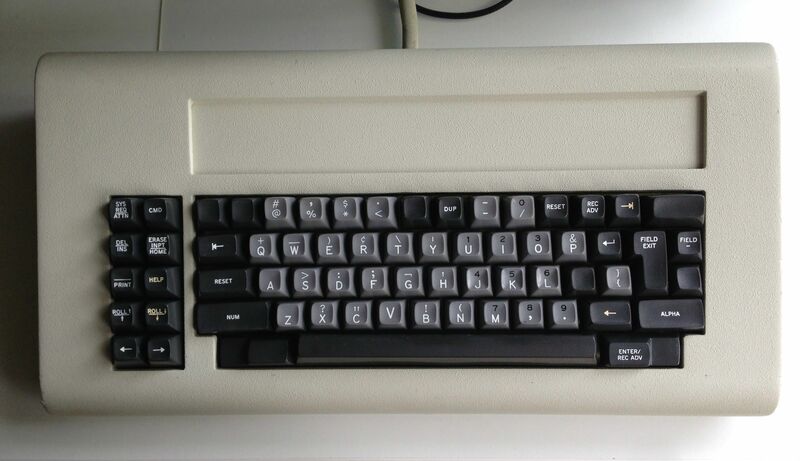 Also, the 3279 function keys are very nice, I’ve never seen those before. Btw, where did you get those ‘new’ APL keys? 2) 5251 66 Key. The quietest and nicest feeling beam spring I have. The solenoid feeling is very subtle, like it’s part of the switch action. 4) 3278 APL 87 Key. This one is very special to me. Last edited by kuato on 22 Sep 2014, 01:02, edited 1 time in total. I don't always like the Retro hardware, but these are kind of inspirational. How hard is it to do the converter mods? This is mine , better images to come when its finished sorry for the crappy phone picture, it needs painting and needs its nice sleeved cable and possibly green function keys ( can unicomp do F13 to F24 ). Will update when they get back to me. Last edited by andrewjoy on 22 Sep 2014, 12:18, edited 1 time in total. SL89 wrote: ↑ I don't always like the Retro hardware, but these are kind of inspirational. How hard is it to do the converter mods? Beamsprings are pretty easy, if you get one in good condition. Xwhatsit ships you a PCB with an edge connector installed and you pull out the keyboard's original one, then slot in his version like an old cartridge game! The setup in software is a little hairy, but doesn't require any code. And they are no less than awesome beasts. Kishsavers require soldering. Quite a lot of fiddly stuff. Model Fs don't have a nice slot, but have a directly soldered ribbon cable instead. It's not rocket science, or even as much work as a Model M bolt mod, but you better like the smell of melted insulation while you make the necessary mess! Once it's hooked up, the process is exactly the same as with setting up a beam spring. Because Xwhatsit is a bloody wizard. For better and for worse! Recommended. Xwhatsit even has a guide for each. Just know you're taking a big step deeper into the keyboard rabbit hole when you do. Oh and dont do what i did and get lazy and not bother removing the ribbon cable and replacing it with normal wire it causes loads of problems. Thanks for all that Muirium, I'm reading Xwhatsit's guides, i think a beamspring would be sick. Thanks! That’s closer to SA profile than I thought from the top/front pictures. 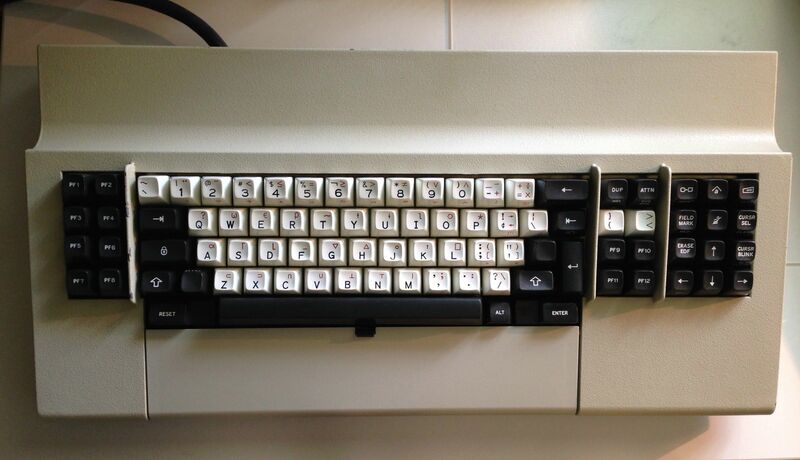 Yes, the caps are quite similar to SA, but with the slanted mounts on the switch top, the resulting profile on the keyboard is quite different from SA on MX mounts. Makes me wonder whether SA was originally designed to be used with slanted mounts, too. Which would mean that the way we're using it on MX caps is way off from how the profile was meant to be used by its designers. Halvar - wow, German layout APL.. with colour function keys! That's the only one I've ever seen. When did you get that? I didn't see any showoff thread. So that means there are now four 3278 APL beamsprings converted. I wonder how many more are out there waiting. I've been asked that a few times before. I don't have a problem with it. If it was uncomfortable, I'd be rushing to paint and replace the cover, but I'm not. I find my totally flat MacBook Pro keyboard much more uncomfortable. jacobolus wrote: ↑ mr_a500: would you mind taking a picture from the side, and as low as possible? I’d like to get the best idea I can of the keycap profile on that beam spring board. @Halvar, im actually interested in those caps. Cause i got one Beamspring more from cindy and it misses some caps. 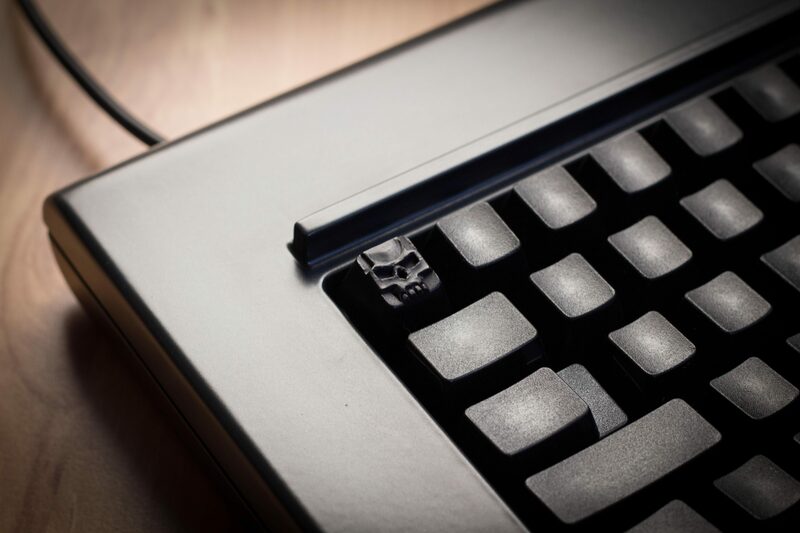 I desperately want a "Help" key if somebody has a spare. 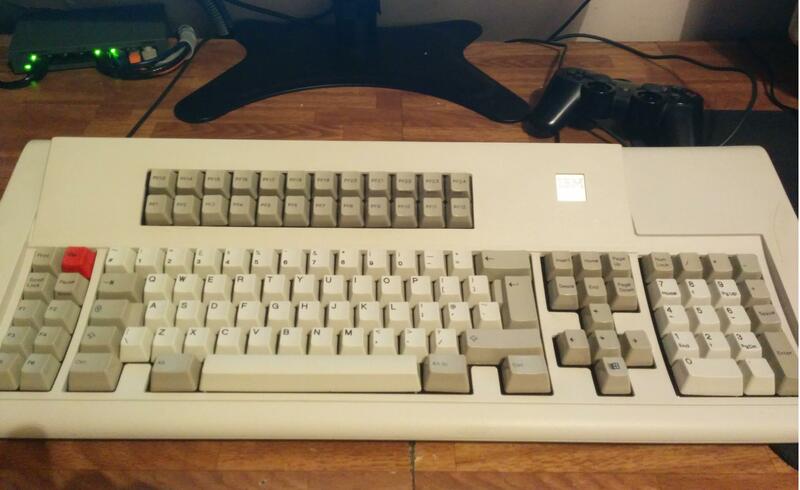 So it looks like there are 9 xwhatsit-resurrected keyboards in this thread so far. Let's see the rest of them. Im still thinking should i ressurect my 50-key F or wait for 62 or 77 key to show up somewhere =) I have the controller ready but haven't decided that yet. 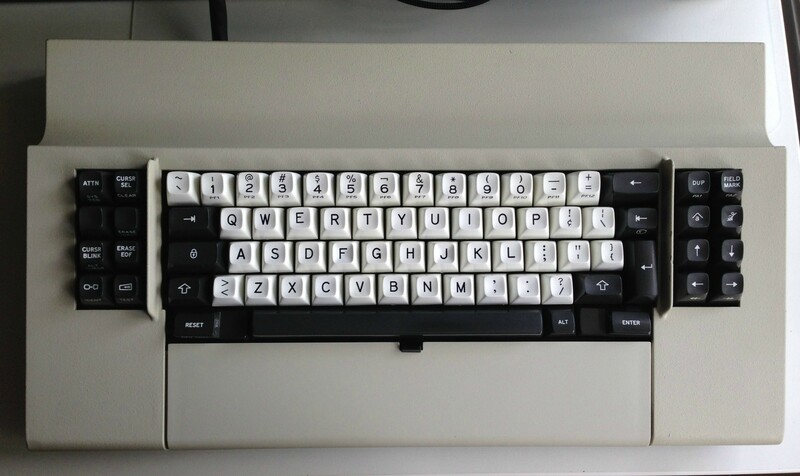 I personally see no practical use for the 50key F. It looks nice, but what to do with it at daily work? Could be only an addition to a normal board? Yeah thats why i hope il score Kishsaver and then have that 50-key as numpad+ functions when needed. Where did you get such lovely boards kuato? photekq wrote: ↑ Where did you get such lovely boards kuato? Through a friend that works in IT. He deals mostly with telecom hardware, but every once in a while he comes across vintage IBM. Halvar wrote: ↑ Yes, the caps are quite similar to SA, but with the slanted mounts on the switch top, the resulting profile on the keyboard is quite different from SA on MX mounts. Oh that explains why the caps look different on a keyboard. I guess I need to just find someone with a beam spring keyboard (e.g. HaaTa) and see if I can take some completely side-angle pictures or measure the profile with some calipers or something. What are you up to, if I may ask? I’m convinced that typewriters were on to something with the big height step from row to row (though it made the bottom row somewhat unusable). 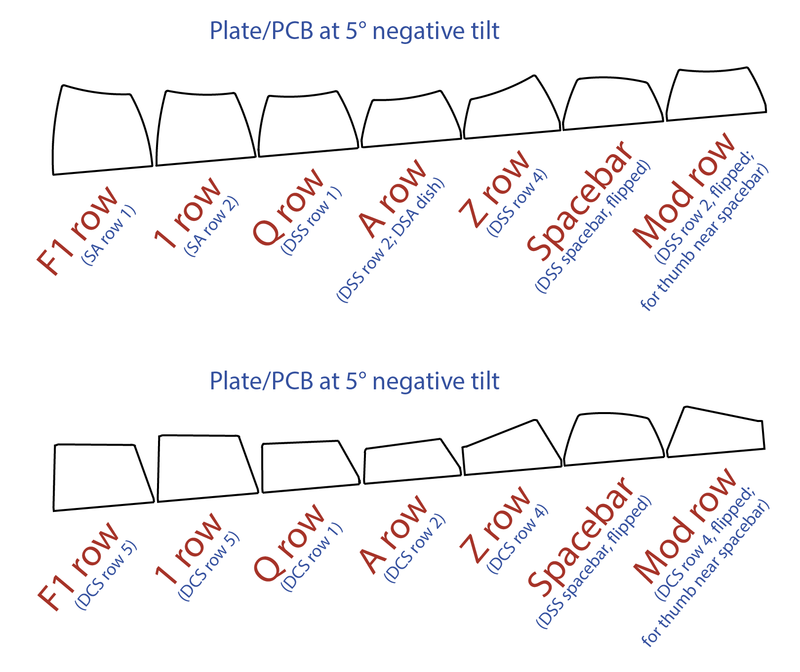 But I think with either a modified DCS profile (with the standard home row skipped and everything else shifted down one), or with custom-CNC-cut keycaps, or by constructing a keyboard where the switches are at different heights (by CNC cutting a case out of wood or similar and then hand wiring it), it should be possible to do better than a standard keycap profile. 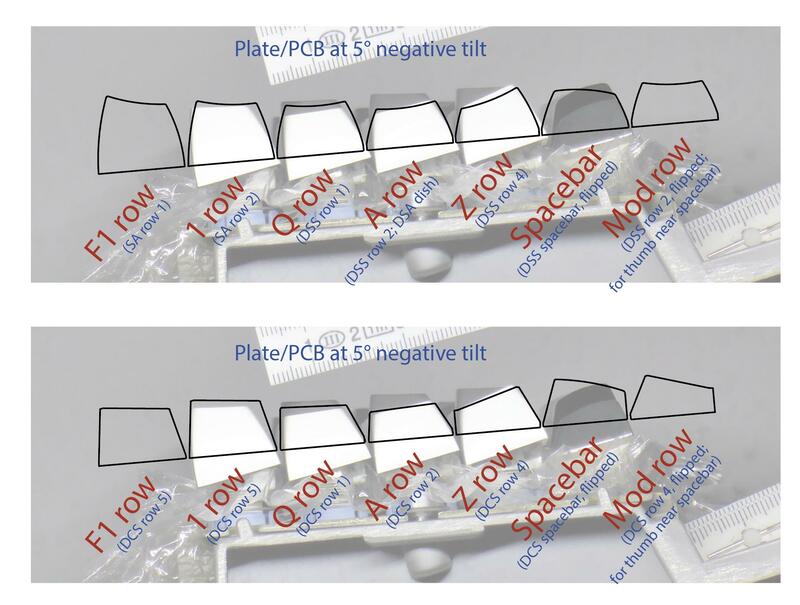 I think this is especially helpful on a column-staggered keyboard like the Ergodox, but it should also be helpful on a standard-layout keyboard. It looks from pictures like beam spring keyboards somewhat have this same idea, but on the couple occasions I’ve briefly tried one out, I didn’t really think about the keycap profile or inspect it carefully. Sorry everyone to go so off topic here. Ok, I tried to do a bit better. Note how the keyboard is tilted, so you have to rotate the image if you want a horizontal baseline. You can take the prominent lower edge in the foreground as a horizontal. Now that I look at it, I think the beam spring profile is actually pretty similar (on the top) to SP’s SS, DSS and DCS profiles (but a bit taller than the medium-height ones of course), once you take the rotation into account. As I’ve been writing in my other thread, I don’t think those profiles are ideal though. In particular I think there’s a benefit from an increased height on further-away rows. Last edited by jacobolus on 23 Sep 2014, 02:02, edited 6 times in total. 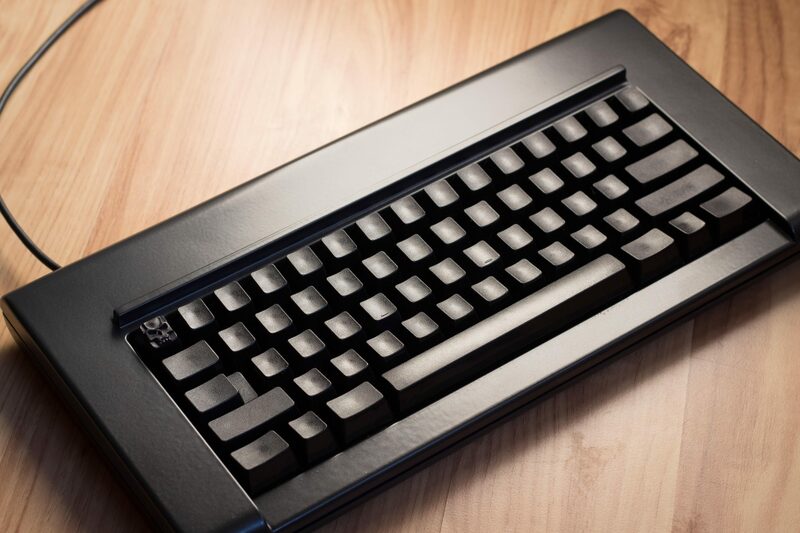 It may be possible to recreate this stepped profile with SA keycaps and angled stems (e.g. Cherry M9). I once made a mock up of this configuration but I can't find it at the moment. I'll search for it tomorrow and post it.